Triple-threat performers need triple-guarantee training – which is precisely what the Emil Dale Academy uniquely offers in its newly launched, three-year “extreme” diploma in musical theatre. 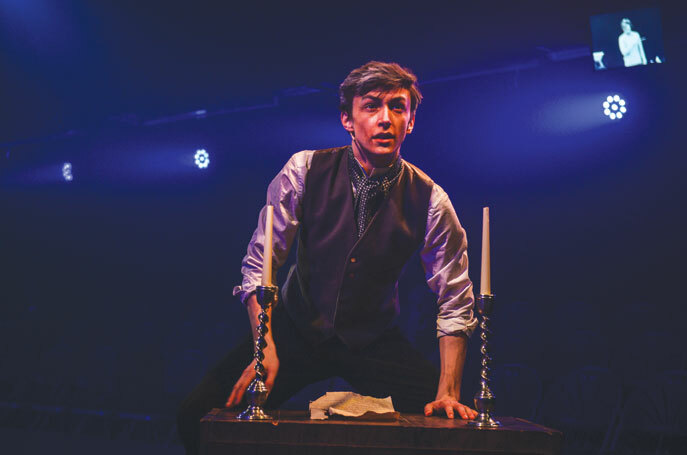 Judged the best musical theatre provider in this year’s nationwide Arts Compare survey, the academy offers 36 taught contact hours each week – one of the highest among vocational schools – and places equal emphasis on acting, singing and dancing. With year-group sizes limited to 43 and streamed by ability to keep class sizes small, teaching is tailored to the specific needs of individual students with a curriculum that offers, says academy founder and director Emil Dale, “a broad range of classes taught by leading industry professionals designed to equip them with the variety of skills that are now the expected norm in professional life”. He adds: “Every student gets private, one-to-one singing lessons each week along with shared classes in ensemble singing, all aspects of dance (West End, jazz, contemporary, commercial, tap and ballet) and acting classes that will prepare them for stage and screen”. But it’s not all about technique. The academy also provides weekly gym sessions with personal trainers and a hot yoga class – at no extra cost – to help develop and maintain students’ physical and mental well-being during their studies and for the competitive career ahead. Based in Hitchin (a half-hour rail journey from London’s King’s Cross and location for recent BBC drama hit Doctor Foster), the academy is within easy reach of the West End’s vibrant theatre life and has a suite of facilities few of its competitors and peers can match. Housed within its three-storey, 12,000 sq ft former factory home are state-of-the-art facilities including eight air-conditioned studios with sprung floors and a 200-seat theatre with a revolving stage (the Factory Playhouse). Its resident teaching faculty – a veritable Who’s Who of West End and television talent – includes Benidorm star Adam Gillen (leading the academy’s acting for television module), head of jazz Laurie Scarth (Tracy in the UK tour of Hairspray), Luke Fetherston (Top Hat and Funny Girl), Tim Evans (former deputy head of music at Arts Educational, West End veteran and music director for singer Hayley Westenra), Griffin Stevens (original West End Jersey Boys cast) and Nicole Cato, widely experienced dancer with Matthew Bourne’s Swan Lake and The Phantom of the Opera. Weekly masterclasses feature guest teachers from the West End and Broadway, Recent such teachers have included YouTube sensation and Broadway star Natalie Weiss with original Hamilton cast member Okieriete Onaodowan, who was flown over from New York last year for exclusive classes with Emil Dale students. With the academy’s “emphasis on learning by doing”, students get to test lessons learned in the classroom in the ‘real world’ environment of three large-budget, full-scale, publicly performed productions each year complete with a full West End orchestra. Final-year students also participate in an exclusive London showcase designed to draw them to the attention of agents, managements, casting directors and directors. The academy also guarantees that students will graduate with an agent, whether with an independent company or through its own agency. Wholly focused on musical theatre, the academy’s new three-year diploma is intended, Dale says, “for students with the potential and ambition to become the leading performers of the future. In return, they can expect the best training in some of the best-equipped facilities to provide the best beginning to a career on the stage”.